Campaigner is among the best email marketing services which are available in the market. It consists of all the basic features which are required for the best email marketing software. It also boasts of its many advanced features. No matter which plans you opt for, no matter if you have 100 contacts or 10000, you always get the same features with every plan. 1. The emails sent through this service resulted in successful delivery, but not all of the email got received in the Gmail inbox, during the testing phase. 2. The email blasts using this service’s template didn’t arrive in the inbox. 3. When an HTML-coded email was created and sent, it only made received to the promotional tab of Gmail inbox. 4. The various templated provided by this service are quite appealing and simple for creating easy emails and designing newsletters. 5. The user can easily designate the time and date to send emails, but the user won’t be able to choose a time zone. For different time zone, the emails have to be sent according to different time zone based lists. 1. This service is quite good for new users who are trying their hands on email marketing. The reason behind this is easy to use interface along with access to the user manual which appears as a pop-up window. 2. Its dashboard is designed quite intuitively along with links to various tasks you probably use. It also includes a detailed list of previous campaigns and subscribers related activities. 3. Even with limited list management tools, these tools are basically simple, and ease of use is good. 1. In case you are going for sign-up form creation then this service won’t provide you any template for that. The user has to build the form from scratch which will definitely consume time and will be relatively more complicated when compared with other email marketing services. 2. The major downside of this service is that it slows things down a lot. The delays involved in the tasks can be quite frustrating. Even with its out-of-date state along with its poor and slow processing and lack of different templates, this service is a good choice for creating simple email campaigns. In case you have a small list of contacts, and you opt for the lowest priced plan, you will get all the advanced features. 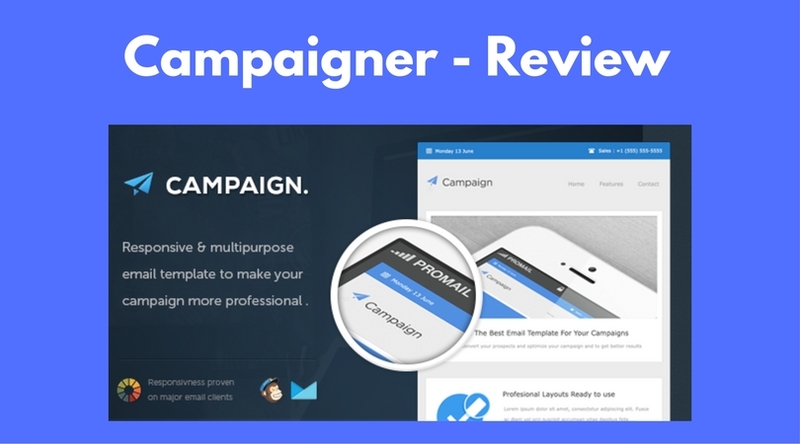 So try Campaigner if you are new to email marketing. Play with its advanced features and various tools to create impactful emails. Also, share your experience with this service by mentioning your views and suggestion in the comment section below.